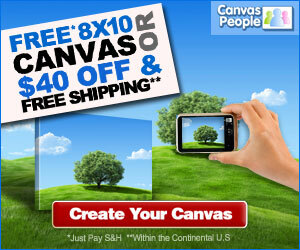 The Canvas People are offering a FREE 8×10 photo canvas – simply pay S&H! Mother’s Day is just around the corner and this would make an amazing gift for mom’s everywhere! If you want a little more “WOW” factor, then you can get a 11×14 Photo Canvas For $27 Shipped OR a 16×20 Photo Canvas For $37 Shipped! I can personally say that the quality of these canvas prints is amazing and I highly recommend this company. Weekly Amazon Diaper Deals (4/3)!